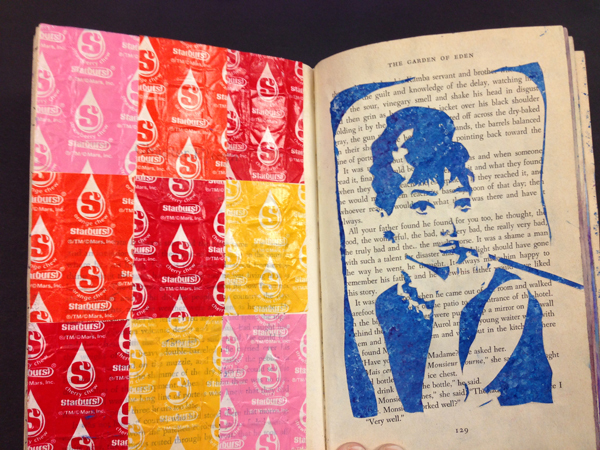 The students in Art 2 classes have the opportunity to recycle an “old “ book, (not to be confused with a first edition book!) 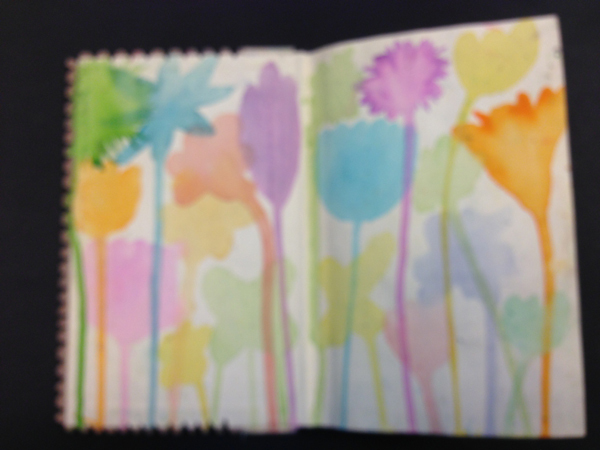 and then turn it into a piece of artwork! Students are required to bring in a book that has no value. They then may use as many different techniques and mediums they want to alter the book and make it their own. 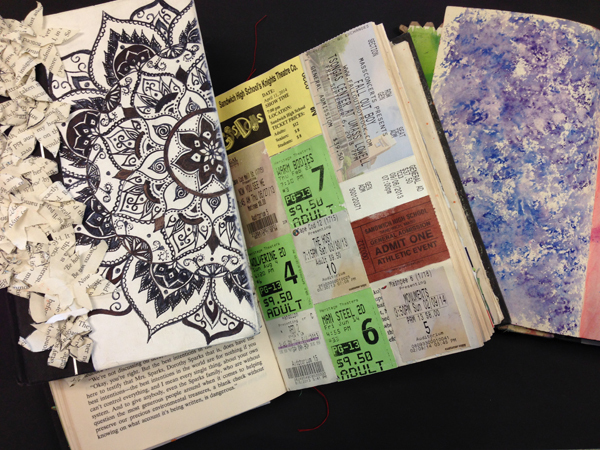 They personalize it by using ticket stubs, photographs and mementos that will make the books unique to them. They are given all semester to work on these at home and then brought in to be shared. The books might not ever be read again, but they will be like eye candy to look at. Some of these books will be on display at the Fine Arts Fiesta on Thursday, May 7th in the Sandwich High School Library, from 5:00 to 7:00 pm. Hope to see you there! 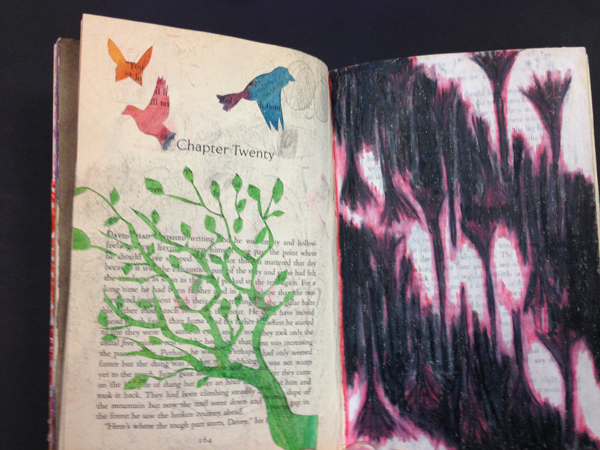 And if you can – bring in an old book that you could donate for the next Art 2 class!